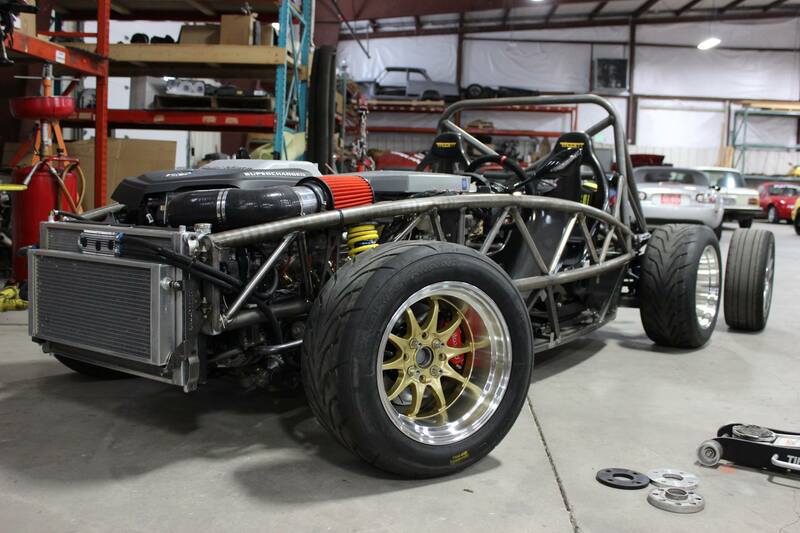 “The XXXocet: Check out the wheel/tire package! Traklite 15×9 with a +0 offset, wrapped in a big 235/50-15 Toyo R888. There are also spacers behind the wheels to allow for more frame and brake clearance. Now that’s a deep dish wheel. It’s also flow formed and weighs less than 14 lbs. No, this setup won’t even come close to fitting on a Miata. Exocets have very different wheel/tire fitment constraints.